From that moment of connecting/attaching herself to the moment of the example of ‘relationship’, she in ‘real time’ with her beingness, mind and consciousness in the physical, essentially manifested HERSELF, who she is in that moment within this words: “This is what I want/want to be/have when I grow up”. It’s an absolute self-creation moment that resonate, imprint and manifest into and as the being’s entire existence within the mind and the physical from and of that ONE MEMORY that then thus serves as a ‘micro-chip’ essentially, from and of which the being will design their entire ‘who they are/how/what they live’ in their mind-physical existence. And so, within this – because Friend A, thus aligned her starting-point in her relationship with her Mother within and as that ONE MEMORY of her mother’s relationship to her father, and thus the assumption – based on the 1% external presentation/portrayal, that she has to equally as one be/become the ‘Conservative Character’ to get/own/have/possess such a relationship in her future: will thus come to define her entire relationship to the Mother within this ONE POINT only. Because the primary relationship she thus developed to the Mother is within that ONE MEMORY, where she can get/own/have/possess her WANT/interest as relationship, and to do that, she has to align her primary relationship to her Mother within the context of that one point as the Conservative-Character. And thus why/how her entire Mind-Physical ‘awareness’ will be ‘zoned in’ onto/towards that of her Mother that she can gather/accumulate as memories to build/construct/manifest her own Conservative-Character. I commit myself to show – how/why, in our relationships to, for example parents – one will be able to find one/few points that particularly ‘stand out’ in one’s relationship to one’s parents, whether positive or negative, as one/few of the Primary Relationships that one created to/towards one’s parents based on MEMORIES of one/few points in what they externally presented/portrayed in their physical-behaviour to/towards/with self that self attached a particular value/meaning to. And within that – that self will align self within such particular-specific memory-relationships with parents, for example – only when/as it serves an interest, want, need and desire within and as self. I forgive myself that I haven’t accepted and allowed myself to, in equality and oneness with and as Life, energy and substance, the mind and the physical, from the beginning to now – seen, realised and understood that this ‘character creation’ of and as the ‘Conservative Character’ will be/become the child’s primary defined relationship to/towards her Mother. And so – slowly but surely throughout time, will start accumulating memories as interactions/participations/observations with/of her Mother, from conversations/words to behaviour/mannerism. With – from the moment the child made The Decision, that moment essentially embodying the statement: “This is what I want/want to be/have when I grow up”; the process of Character Creation commence; as the Child now within her beingness, mind/consciousness and physical relationship linked/connected all of her into and as that One Memory with her Mother primarily ‘highlighted’ so that all her interactions/participations in physical-reality will accumulate memories that will be stored into and as the Unconscious-Mind platform/framework of this Character that is in the process of creation. And so – in-between the eye blinks with the Physical-Mind eyes – capture/store memories within and on the ‘glass window pane’; where – whenever her Consciousness in relation to her mother detects that an instance with her Mother is aligned with and as and from the One Memory/ ‘micro-chip’; will store the new memories into and as the Character’s individual platform/framework as the process of accumulating ‘data’ to build/construct her Conservative-Character. 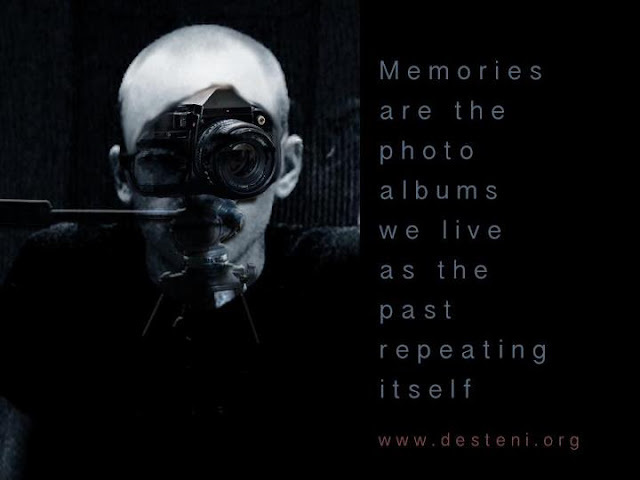 Where furthermore, from within that – as the data/memories are accumulated: will start the process of ‘personalizing the memories’. In this, I forgive myself that I haven’t accepted and allowed myself to see, realise and understand the direct-relationship of ourselves within and as the process of Personalizing memories, where – for example: the being will within the memories itself within her Mind of instances of actual physical-interaction/participation – cross-reference her mother’s words/behaviour in relationship to her own and see how she can from the memories within her in her Mind, ‘copy/imitate’ the exact same external portrayal/presentation. This, for example happen when children wear the parents’ clothes/shoes, playing with their make-up – they’re in the process of ‘testing’/fitting them into’ the Character they are in the process of copying/imitating from their Parents from/of Memories/references in their Mind. And so, the child will ‘play’ with the memories in interaction/participation with her Mother within her Mind to accordingly, as she’s in the Memories themselves, referencing herself to her Mother in the memories, and will from there in the actual-physical / ‘real time’ start ‘practicing’ sitting/speaking/behaving like her mother. Where for example in moments she will see her mother sit in a particular way – in her Physical-Mind eyes the memory imprint into the ‘glass-window pane’, the memory in her Mind as primary memory/ ‘micro-chip’ in relationship to her Mother will activate; which then activate the Conservative Character in process of creation. And from the memory in her mind of observing her mother sitting in a particular way will use it as a reference in ‘physical real time’ on how to sit the same. And so will start physically fidgeting around, initially being uncomfortable as she’s trying to align her physical from a memory to align her body as her mother is aligning her body. Within this process every now and then stare/glance in the mother’s direction to accumulate more memories she can use as cross-reference in her mind to make sure she got all the three-dimensional views/perspectives of how to manipulate her body behaviour into and as the character she’s in the process of creating/manifesting. And so, we come to manipulate our physical behaviour and form in accordance to characters within personal interests, wants, needs and desires - with no equal and one relationships with our physical bodies, as from the beginning as children – the body simply become the clay we use to manipulate/abuse and mould/shape to serve our interests of and as the Mind. I commit myself to show, how this is a process that still exist today – where human beings, from childhood into adulthood throughout our lives will copy/imitate from pictures/magazines/celebrities or observations of other human beings to attempt/try to be/become a Character. But there will always be a hidden secret/desire within it, like for example the female seeing a celebrity with a particular male and/or with a particular smile where they had linked such a particular male/relationship and/or such a particular smile to ‘happiness’ and think/believe they have to change/transform their dress/physical appearance and/or partner or align themselves with a male to get/have that experience. And will go to EXTREMES within themselves and their lives, compromising to great lengths their relationship to themselves, their body and even money – just to get/own/have/possess their personal interest of want, need and desire. Which is equally as one as aligned with the World-System of Money as the mirror-creation of our internal creation of ourselves in our Mind relationship to the Physical, as the World-System serve/exploit this process of Character Creation to serve the interest of those that can AFFORD it, and so ALL chase after Money to align with the World-System to materialize PERSONAL, wants needs and desires. Setting humanity into a competition race; as the World-System had been so aligned to only cater to a select few human beings’ wants, needs, desires and interests; and the more money accumulate, the more wants, needs and desires accumulate that the elite want to materialize/fulfil in their character creations. The more money, the more characters/evolved characters manifest; and so possessed with money and mind, whilst the physical existence and the MAJORITY of humanity is sacrificed for a few to have their fantasies/illusions in the mind to manifest at the expense of ACTUAL human beings’/earth’s existence…what have we done/become??? In this, I commit myself to show – how, what it is that human beings don’t in fact, thus want to give up is their Character definitions of the mind that is held in place in their external relationship to/with/as Money, and will fight for the survival of their Characters in their relationship to money at the sacrifice/expense of actual lives. And so, thus – to change the very nature of ourselves as humans, is to align who we are within ourselves in direct equal and one relationship, to with and as the physical, this physical existence so that our living will always in all ways be aligned within what’s best for all, and in so doing – not accept/allow this deliberate spite/abuse to the physical, this physical existence and all and everything/everyone within it, just for a select few to have/own/possess their interests in the characters of their mind to maintain an illusion as alternate reality that is created through/by the sacrifice/suffering of actual beings in existence. We’ll continue in the next post with how we create, design and manifest our process of, for example staring/catching glances at others that we observe as we cross-reference ourselves within the starting-point of Characters in our Minds in our processes of either evolving/specifying a character and/or changing a character and/or creating a character, as the child with the mother in the process of developing her ‘Conservatism Character’ within herself.